UAV-based LiDAR users came from far and wide to Montpellier for a special conference organized by French company YellowScan. Participants heard about some of the latest and most innovative data gathering and post-processing techniques. And getting the whole thing started was a wide-ranging and inspirational talk about the future of geospatial surveying, on Earth and among the stars. 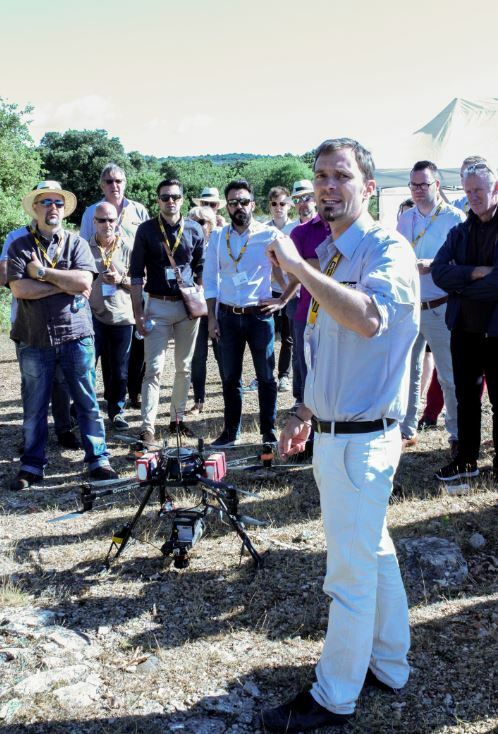 The YellowScan LiDAR conference in Montpellier brought together a variety of users from a surprising array of countries, including Japan, the United States, Canada and all over Europe, to discuss how they are all benefiting from UAV-based LiDAR. 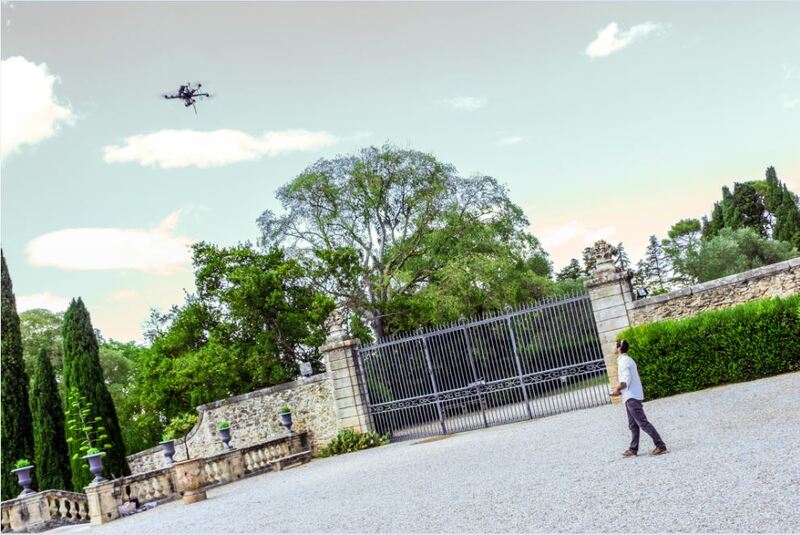 Attendees saw demonstrations by YellowScan teams of high-precision scanning operations, first above the conference venue itself, Montpellier’s Chateau de Flaugergues, and then at the Cambous prehistoric site in nearby Viols-en-Laval. Presentations covered a range of surveying applications. Chiba University’s Akira Kato explained with some panache how his team compared several airborne- and UAV-based 3D acquisition technologies in key forestry applications, while Cédric Krasnopolski of L’Avion Jaune and Doyle McKey of CNRS CEFE gave participants a fascinating look at how UAV-based LiDAR is being used to better understand ‘patterned landscapes’ in Bolivia. Juniper Unmanned’s Tim Roorda presented recent work aimed at monitoring dust control and mitigation measures at California’s astounding Salton Sea, and both Arttu Soininen of Terrasolid and Martin Isenbourg of RapidLasso demonstrated some ingenious post-processing techniques allowing end-users to get the most out of data gathered by UAV-based, state-of-the-art, geospatial tools. It was a decidedly stimulating two days, to say the least, and it all took place in a warm and convivial setting created by YellowScan’s highly innovative and very French team, which included the company’s President Michel Assenbaum, CTO Tristan Allouis, Application Engineer Pierre Chaponnière and Sales and Marketing Director Pierre d’Hauteville. But it was Omar-Pierre Soubra, self-described astronaut and Director of Marketing Communications at Trimble, currently based in Colorado, who set the tone for the event early on, raising eyebrows with his across-the-board exposé on the present and future of the geospatial industry. Soubra began by recalling his early days in the 1990s, driving around Europe in a Renault minivan doing 3D scanner demos. His kit at that time comprised a 190-kilo device with an old Silicon Graphics computer to make it work. Today, he said, scanning equipment, including LiDAR, is still getting smaller, faster, and less power-hungry. 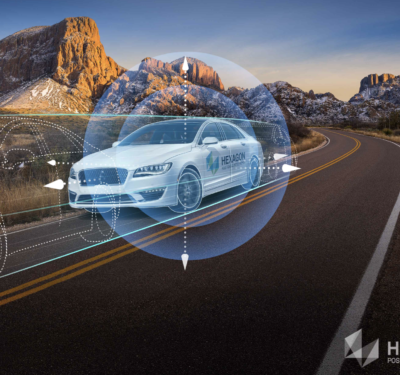 And there is one key application that’s pushing more than any other the positive evolution of sensors of all kinds, Soubra argued, – the driverless car. Apple has just announced a virtual-reality, augmented-reality app for the new iPhone, and there are rumors that the device will also have a 3D camera. By this time, some of the audience members were looking positively stirred, but Soubra’s spacey future vision was only just starting to take form. “It’s getting easier and easier to put satellites into orbit,” he observed, “so now you can get those nano-satellites that are very small and you can send like ‘millions’ of them into the heavens and they are like little bees capturing all kinds of information.” Soubra cited a company called Bluefield that is using micro-satellites to capture data on carbon emissions. “They do this all around the world for a fraction of the cost of doing it on earth, and their plan is to resell the data. 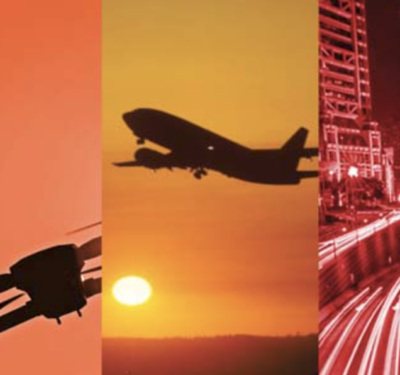 Will this make LiDAR-equipped drones obsolete? Soubra didn’t suggest that himself, but the thought did cross our mind. With all that data swirling around, he said, the task of processing it will eventually be too much for humans to undertake, so the next key trend will be artificial intelligence. “AI is already here,” Soubra said, pointing to a simple but effective example, a website called Clarifai (‘Artificial Intelligence with a Vision’), where you can upload a photo and immediately receive a list of surprisingly apropos tags, keywords and categories, all based on visual markers in the photo. The company is working with Black and Decker, but the batteries could be a very promising technology for drone or other equipment manufacturers. 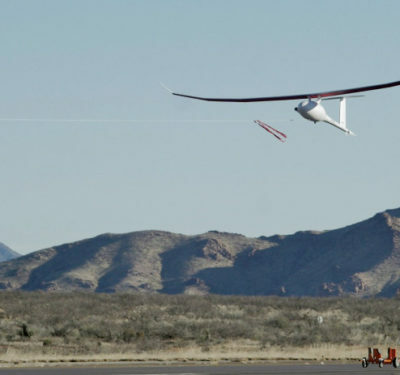 “The Prieto battery charges six times faster than anything else on the market and it has a way higher capacity, meaning for drones a longer flight time or lower weight. I encourage you to go look on their website, I have no shares in the company,” Soubra said. Now in full flight, Soubra attacked another pressing issue: “We have more and more people on earth; by 2030, we’ll have about 8.5 billion, a figure to which I’m contributing, by the way, with my four kids. One way could be flying cars, as per the recently publicized Airbus project. “Those things will need to know where they are heading,” Soubra said. “They will need a lot of geospatial information to be able to locate themselves, so that’s another source of data. Soubra’s musings, at this the culmination of his talk, turned even to other solar systems, to interstellar travel. NASA, he pointed out, has recently announced the discovery of TRAPPISTE 1, a solar system with many Earth-like exoplanets, each a potential home for future humans, each an eventual target for far-flung geospatial surveying operations. 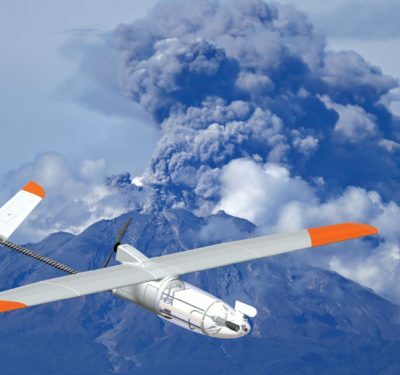 Soubra’s talk seemed aimed above all at getting conference participants thinking in new directions, to imagine new and innovative possibilities, however far-fetched, in a field, UAV-based surveying, at once burgeoning and rapidly evolving. In a further conversation, he acknowledged that the future will hold some grave challenges, not least the specter of mass unemployment in an era of exploding populations and accelerating automation. But there will also be solutions as yet unimagined, he said. So the message, as we take it, is precisely to imagine. And who to that call will not answer ‘Yes!’?